I can’t believe it’s been almost a year since I first did this “how-to” webinar for 4Good’s “Tech Tuesday” series … but it has! But the concept is still surprising under-used, so please, read on, and click-through and watch the recording to learn all about surround sound fundraising. As fancy as it sounds, surround sound fundraising (or marketing) is simply a donor/supporter-centric way of creating your campaigns. It is a multitouch, multiphase effort that employs multimedia techniques on multiple devices (smartphones, tablets, newspapers, computers, radio, mailbox, television advertising and more). Think of the donors first and how they want to interact with your organization. As you know, there is no such thing as a single channel person -- you, me, our donors, no one spends their days in just one channel or place or media. Which means we need to create campaigns that connect with our supporters where they are and in all the places they spend their time. The growth of the Internet and the expansion of digital communications give nonprofits new ways to reach their donors and supporters. While the old techniques -- direct mail and telemarketing -- still work and generate responses, they alone are no longer the "gold standard" in fundraising. 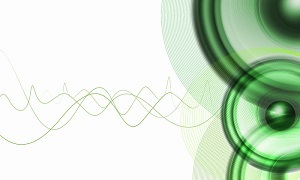 Savvy nonprofits are moving to "surround sound" fundraising. This article was written by guest author Kerri Kerr, Senior Vice President, Avalon Consulting. So you’ve built a large pool of online activists and digital petition-signers -- now what? Good news: It’s time to reap the rewards -- revenue and ROI. Avalon’s research and experience prove unequivocally that donors who are also activists are much more valuable to your organization, across a variety of metrics. We define activists as people who have taken an action on behalf of your organization, e.g., signed a petition, written a letter, attended an advocacy event, etc. For one Avalon advocacy client, our testing validated the strength of current, lapsed (25-60 months), and deeply lapsed (61-120 months) activist members, with all segments showing stronger revenue per member and a renewal/reinstatement rate as much as 50 percent higher than non-activists. In some segments, the average gift from donor-activists was up to 25 percent higher than that of non-activists. To harness this potential, cultivate first, then ask. Because activists already have a relationship with your organization, they are excellent prospects for donor conversion. Your first job is to cultivate them and move them along a continuum of involvement. Cultivation can take the form of action alerts, e-newsletters, petitions, events, and other efforts to engage and educate. Conduct this outreach through multi-channel marketing, because testing shows that you can engage people more effectively with a range of communications. Use online, phone, mail, on-site, and special event strategies to keep activists up to date and involved. Once you have cultivated your activists for conversion, you will find they are more invested in your mission and ready to make a difference with a financial contribution. Because many of these activists already consider themselves part of your mission and community, conversion strategies can parallel donor reinstatement. And don’t forget that they are also primed for a sustainer message. And don’t overlook the phone. While cold-calling random prospects is not typically productive, activists are warm prospects who will be more responsive to a call from your organization. Telemarketing is a great way to start a dialogue with your activists and encourage them to make a contribution. Plus, on the phone, you can easily adjust message and targeting strategies to achieve the most productive results. Create a global calendar that details all the communications an activist might receive. Track every point of contact and designate specific follow-up responsibilities. Commit to messaging consistency throughout these communications. When you finally ask for monetary support, your activists should feel engaged and needed, and understand that making a contribution is the natural next step in helping you achieve your mission. In past posts, I’ve stressed the importance of knowing who your current audience is, and better understanding your constituents’ demographics and psychographics. Now, let’s talk about identifying the donors you need to retain. Whether an organization is small or vast, for profit or not for profit, the development of constituent segmentation can be tricky. And, while segmentation is still often considered to be an important element of any plan, many still do not give segmentation the appropriate priority when it comes time to implement a campaign. The reality is that segmentation is the single most important factor in helping an organization achieve both its short and long-term goals—and with good reason: Donors respond to communications that appeal to their unique preferences. But goals can embody multiple objectives, of course—and these objectives are often overshadowed by our own biases when it comes to developing the segmentation that will drive the fundraising. As marketers, we need to step back and reconsider some “dated” methods—those in which we analyze and develop segmentation, but allow for a more “natural” division of these audiences, targeting constituents more precisely based on our intended goals. For example, if retaining your most valuable donors is a real objective for your organization—and it should be!—then your segmentation strategy needs to fully embrace the donor attributes that define value for you. This seems amazingly obvious, so why isn’t it easy? Well, more common than not, major donor segmentation is determined by either the marketer’s bias, past experiences, or, even worse, by budget. Recently, I was asked whether or not a major donor segment that is currently defined as “those who have given $1,000 in the past year” should be changed to “those who have given $1,500 in the past year.” You see, the inquiring individual had received a piece of mail from another organization and noticed that their ask strategy for a similar offer started at $1,500. The answer to the question sits in unperformed analysis that would identify the risks and potential gains of retention and upgrading. What’s identifiable as a segment for Sally, Bob, and Jeffrey is that they all have the same cumulative value of $1,500 per year. What’s not so common and varies by organization is how we would select these donors—and, therefore, how we would treat them—would vary. That’s what segmentation is all about: speaking to a donor’s particular needs, expectations, and motivations. All of the above segmentation criteria would select Bob, but none of them would select Sally or Jeffrey—thus, 66 percent of the segment’s revenue may be at risk due to failure to select, acknowledge, or communicate to the donor most appropriately. Most of the industry analyzes results using recency, frequency, and amount (RFA). RFA segment performance almost always shows that there is a correlation between frequency and likelihood to respond (retain). Higher frequency makes an argument that Sally and Jeffrey may be more valuable than Bob due to the fact that they represent a more predictable and sustainable donor segment longer term. Giving more frequently can also be linked to other donor attributes, such as age. Younger donors tend to interact more frequently with organizations (“Inspiring the Next Generation Workforce, the 2014 Millennial Impact Report”) and are likely to remain loyal to fewer organizations when compared to older generations, such as boomers. Many organizations are trying to engage younger donors; however, common segmentation strategies limit the number of interactions and therefore the number of opportunities for younger generations to give. So, don’t limit yourself by following conventional “wisdom”— identifying valuable donors can be as simple as selecting segments using cumulative value for a period of time. 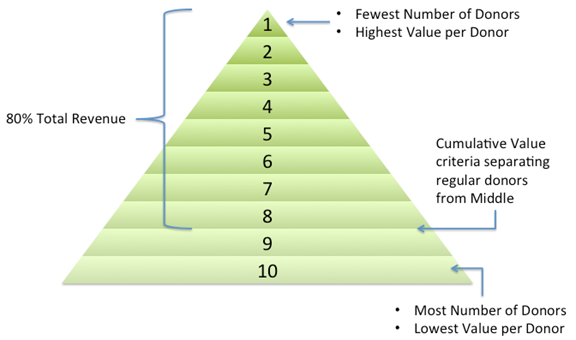 Here’s one final tip that can help make segmentation less confusing: When evaluating who your organization’s most valuable donors are, it can be helpful to use the pareto principle when developing analysis and evaluating the results. Determine which donors are contributing 80 percent of your total current year revenue and have the highest cumulative (value per donor). The minimum cumulative value of the donors that fall within the 80 percent total revenue can be your line in the sand, separating your regular donor program donors versus a middle and major donor program. Remember, the most valuable audience is one you already have a connection with. No one can afford to target everyone. Smarter segmentation adds to the bottom line. Announcing the 2015 IMAB Integrated Marketing Award Winners! 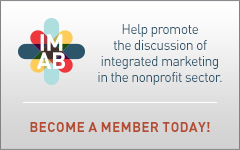 On Friday, March 6, at NTEN’s 2015 Nonprofit Technology Conference, the Integrated Marketing Advisory Board (IMAB) announced the winners of its fourth annual Integrated Marketing Awards. The Integrated Marketing Awards recognize nonprofit organizations showing exemplary leadership in the area of integrated marketing. We congratulate this year’s winners, who exemplify the sector’s successful use of integrated, multi-channel marketing. Operation Smile won in the category of The Donor for demonstrating how an integrated marketing campaign or program had an impact on donor satisfaction and the donor experience. The organization launched a successful multi-touch, multi-channel holiday campaign that customized asks based on donor history, included phone calls to higher-end donors, and allowed donors to include a message to the children whose lives their donation impacted. Ontario Society for the Prevention of Cruelty to Animals (Ontario SPCA), won in the category of The Organization, demonstrating how an effort across the organization aligned strategy, structure, culture, or skills to impact the organization’s ability to integrate its marketing efforts. The organization brought together internal resources with marketing and communication partners and agencies to create a multi-channel Paws and Give campaign that yielded big results. Wounded Warrior Project won in the category of The Practice for its real world case study highlighting best practices in the field of integrated marketing. The organization combined tried-and-true digital fundraising channels with new acquisition platform tests for stellar results with their Veteran’s Day campaign. 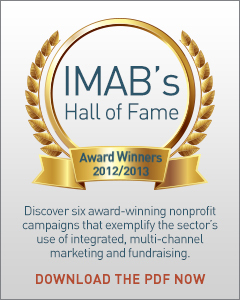 The IMAB is privileged to honor these organizations that are demonstrating best practices in integrated marketing. We’ll feature case studies from these and other organizations in future posts, so stay tuned to the IMAB blog for more details! In a recent study published by Care2, hjc, and NTEN: The Nonprofit Technology Network, nearly 500 nonprofit professionals reported on their 2015 outlook for digital strategy in their organizations: from staffing to strategies to investments. This inaugural study, the 2015 Nonprofit Digital Outlook Report, is the first in a series of annual studies planned to track key trends in the years ahead. A major finding of the report revealed that within nonprofits, regardless of size, budget, and capacity for digital strategy, there is a growing trend towards integration. Whether it’s integration of staff, content, or tools, nonprofits are trying to take the next step beyond engagement to conversion. 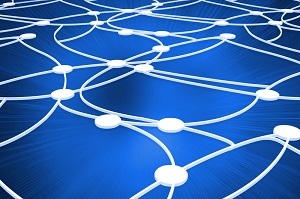 Digital is now, more than ever, regarded as an inherent component of effective organizations. Interestingly, while digital is a growing priority in nonprofits, findings reveal that this growth is not consistent across organizations in terms of staffing, tools, and strategies. 56% of survey respondents reported that they do not have any staff dedicated to digital strategy. Size plays a role in determining this to some extent, where 66% of respondents from organizations with 76+ full time staff noted that they have a dedicated team for this. “We know that staff time is valuable, but we’ve already budgeted for it. Many of the recommendations highlighted in this report require staff time to strategize, make changes, and optimize online processes or experience. They do not, necessarily, require new funds or larger budgets for new tools. It’s a matter of being strategic, not buying more technology,” said Amy Sample Ward, CEO of NTEN. The report also includes three case studies from nonprofits: Alzheimer Society of Ontario, Covenant House International, and Ontario SPCA. Across the board, nonprofit leaders are focused on building the right infrastructure and resources to enable multi-channel marketing. They are hyper-focused on the constituent experience, and converting that experience into a viable marketing strategy for donor acquisition. "It's all about people in any industry. Whether we're talking about Oracle, IBM, or a charitable organization, how you deploy your human resources is the key to success. This exciting new piece of research digs a bit deeper to uncover the evidence, and subsequent guidance for, any nonprofit with rationed resources that wants to be more successful in digital marketing and fundraising," said Mike Johnston, President & Founder of hjc. 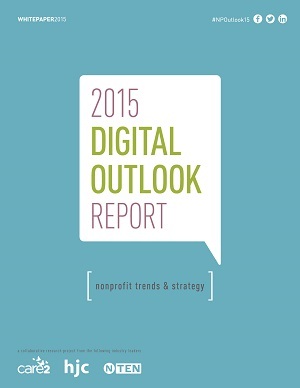 Download this free report, which also includes seven steps for nonprofit digital strategy success in 2015. Interested in learning more? Sign up for the free webinar that will be hosted by NTEN, and will feature report authors; February 19 at 11am PT. Also, if you’re registered to attend the 2015 Nonprofit Technology Conference in Austin, Texas, be sure to join the session on Wednesday, March 4 at 1:30pm.